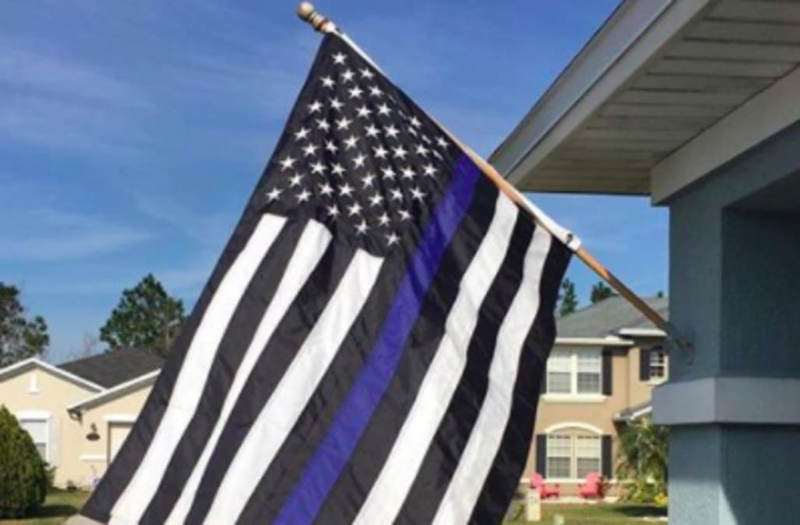 A Blue Lives Matter flag is coming down in Florida after a neighbor complained, calling it racist. A woman's been flying the flag at her home to honor her father, Jeff Gaddie, who is a police officer in Florida's St. Johns County. Even though the flag has reportedly been up for years, the family just recently received the complaint. "She called to ask why," Gaddie said, speaking of his daughter's reaction to the complaint. "They told her they had received a complaint that it was considered racist, offensive and anti-Black Lives Matter," he said. The upset neighbor called the flag racist, offensive and anti-Black Lives Matter. The homeowners association says only American and military-themed flags are allowed to fly in the neighborhood. The family says they're planning on appealing the decision at the next homeowner's association meeting.